Nothing serious today unless you really believe that whatever deity you believe in loves us and wants us to be happy. But truthfully, in every age, since the people of Mesopotamia discovered the secret of fermenting hops and malts into a bread that one can drink, beer has been proof that God does love us and wants us to be happy. I love good craft beer as well as imports, especially German and Irish beers. In my years in Germany I learned to enjoy really good beer. In my Navy deployments the the Mediterranean Sea and Persian Gulf I learned to appreciate Irish beer at the Irish expatriate bars that dot both regions. 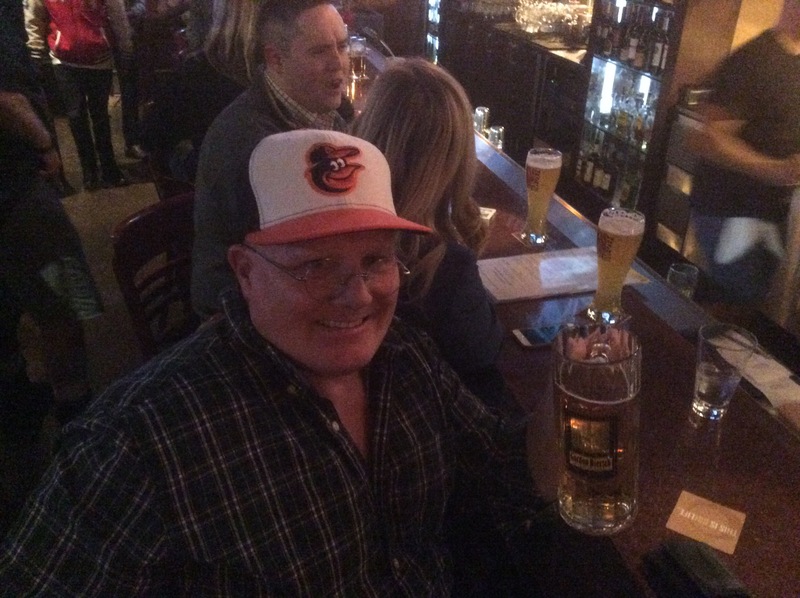 Last night I went to a tapping party at the Virginia Beach Gordon Biersch Brewery Restaurant. Those who know me know that this is my version of Cheers, it is a place where everyone knows my name. No matter how bad things are in the world, or in my life, or in the country, beer is there, because God loves us; and unlike the pie in the sky “God loves you and wants you to be happy” of the Evangelical Christian Four Spiritual Laws, beer is here. So no matter what happens today I simply remind you that no-matter what your belief or ideology, that the creator of the universe does love you and wants you to be happy. Beer is the proof.